Pushed to the limit. The P52s is back, this time with an improved screen and a slight bump in processing power. Is the 4K display an improvement for the P52s, or is the display too much for the weak GPU? The ThinkPad P52s is a durable 15.6-inch workstation with dynamic speakers and long battery life, but its graphics leave something to be desired. The Lenovo ThinkPad P52s is a high-horsepower mobile workstation. The ThinkPad has been a staple of business power users since it was introduced by IBM in 1992. As for this powerhouse, it boasts 8th-Gen Intel Core processors, pro-level NVIDIA Quadro graphics, business-class security, and expansive connectivity. It is a great choice for designers, engineers, and video artists. Concerning the hardware specifications, the processors with built-in security take user productivity and creativity to the next level. An advanced architecture with NVIDIA Quadro graphics and 2 GB of GDDR5 VRAM powers incredibly fast performance. 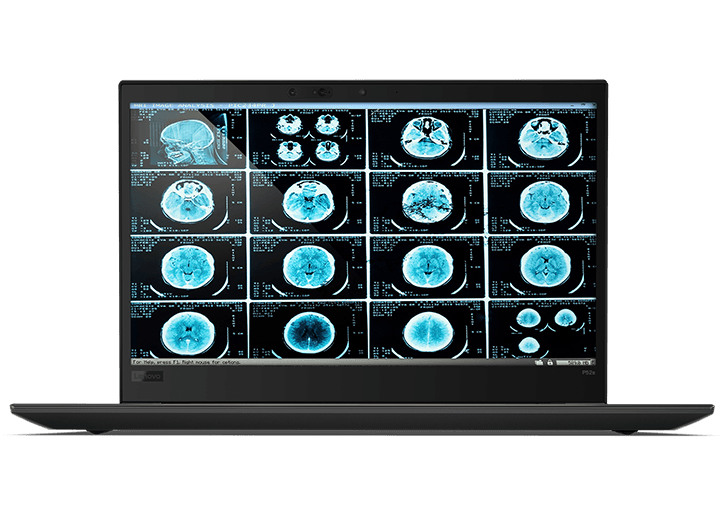 The ThinkPad P52s can be configured to fit a variety of budgets, and it is easy to use. For a premium visual experience, users can configure their P52s with a 4K UHD (3840 x 2160 pixels) LCD for sharp, crisp visuals. The stylish laptop is thinner and lighter, but it still delivered the necessary performance for 3D CAD thanks to its mid-range Nvidia Quadro GPU. It is not rocking a slick aluminum body or stylish hinge, but the P52s packs a punch where it counts. Lenovo chose a different tack for its slim 15-inch mobile workstation, making battery life the number one priority. Its latest model, the ThinkPad P52s, should run all day long without having to plug into the mains, even when running 3D CAD. As a business laptop, the ThinkPad P52s boasts business-class security, manageability, and productivity-enhancing features. Trusted Platform Module technology, an enhanced fingerprint reader, IR face-recognition login with Windows Hello, or an HD camera with ThinkShutter - all ensure data security and personal privacy. The P52s also packs what Lenovo calls “Power Bridge technology,” which means it has both an internal battery and a swappable battery pack. So, if the battery is running low (and users have a spare charged battery), they can simply swap in a spare without having to shut down the system. The keyboard and display are two of this laptop’s greatest assets. The P52s keyboard is immensely satisfying. The keys have a deep travel and are generously spaced, which is impressive considering the P52s also packs a full numpad. If a user is working with spreadsheets or doing anything that involves lots of numbers, the numpad is a blessing. The keyboard also hosts the ThinkPad’s signature red TrackPoint button, which is that little nub user can use to position the cursor. Lenovo has furthermore chosen a new path for its docking ports: Instead of placing a connector on the bottom of the base unit, we now have a docking port on the side. It consists of two USB-C ports, one of which supports Thunderbolt 3, and a proprietary mini-Ethernet connector. The additional USB C comes at the cost of one USB-A port. Throw in the powerful processors, swappable battery, and customizability, and users are looking at a mobile workstation that could complement almost any engineering role. NVIDIA Quadro P500: Pascal based entry level workstation graphics card with certified drivers for stability and performance in professional applications. Most likely based on the GeForce MX150 with a reduced shader count. With these GPUs you are able to play modern and demanding games fluently at medium detail settings and HD resolution. » Further information can be found in our Comparison of Mobile Graphics Cards and the corresponding Benchmark List. 75.45%: This rating is not convincing. The laptop is evaluated below average, this is not really a recommendation for purchase.